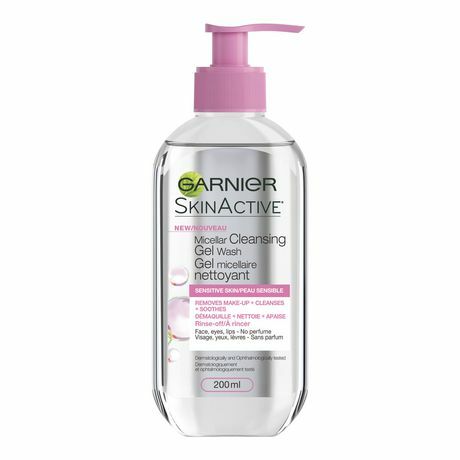 Rinse-off gel wash for sensitive skin. This refreshing formula enriched with natural grape extract and purifying micelles captures impurities, sebum and makeup like a magnet, for a fresh clean that helps minimize shine. 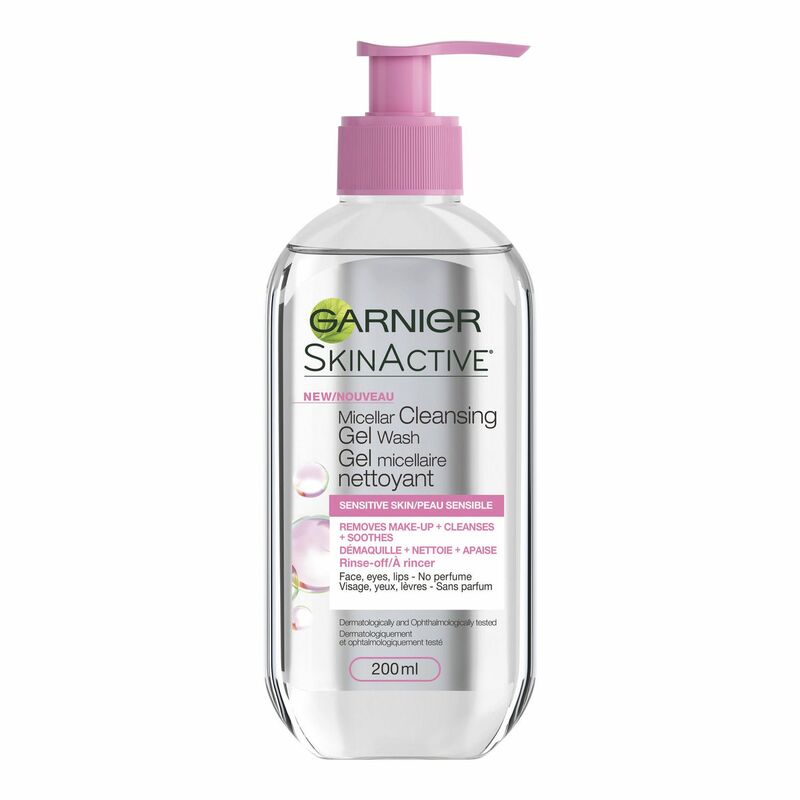 The powerful Micellar formula cleanses skin and removes makeup all over the face, even on lips and eyes. Skin is left clean and mattified without all the harsh rubbing! The Micellar Cleansing Gel Wash has a soft, gentle texture and a perfume-free formula that’s suitable for all skin types, even sensitive.